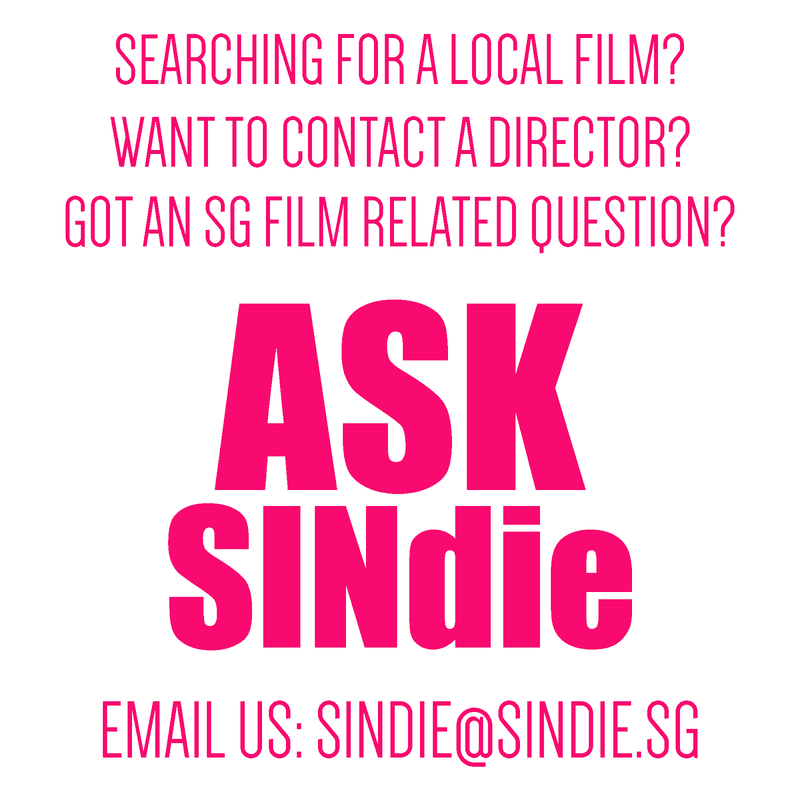 RE: Film Competition/Festival is an event organized by a group of student from School of The Arts (SOTA). This event hopes to push youths of today forward to use their passion and art to serve the community. This event also serves as a platform for use to express themselves. We hope that this will encourage a sense of ownership and importance of the youths in our world and especially, in our future. 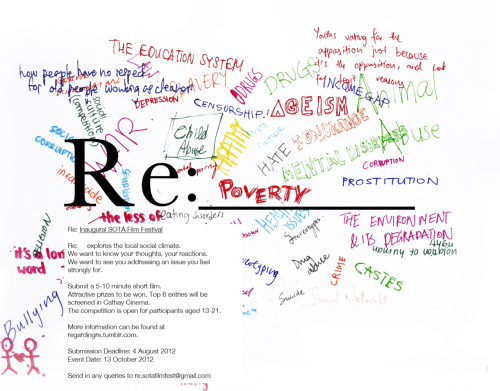 The films submitted will have to be a response to an issue that is prevalent in the world. The event does not limit the form of the films that are to be submitted. The possibilities goes as far as the participant’s imagination and creativity can stretch. The films will be judged by a judging panel that comes from different areas and backgrounds.